The story begins with the company Alcatel distant 1898. It was then that the Frenchman Pierre Azaria in Alsace, founded the company CGE - Compagnie Générale d'Electricité. Starting the implementation of its plans, the engineer aims to create a new company. This, which could immediately enter into successful competition with Siemens, AEG and General Electric. At the same time he defined the scope of CGE activities - communications equipment. It must be admitted that the company is developing rapidly in the first few years. And in 1925 it absorbs the plant, which specializes in the manufacture of cable products. It Compagnie Generale des Cables de Lyon. In 1966, CGE has already reached a level of development that has been able to absorb the other, also French, Group - Societe Alsacienne de Constructions Atomiques, de Telecommunications et d'Electronique. Such transformations have led to the company and the name change. This means that Alcatel - an abbreviation derived from the first letters of the long name. ALCATEL as a brand was fixed definitively for the company in 1985. It is for this year comes a new merger. Acquisitions and mergers and then will occur very often. 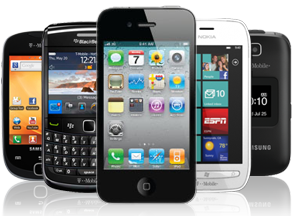 For example, in 2006, Alcatel has teamed up with US company Lucent Technologies. So there and Alcatel-Lucent. Under the brand name of the company and still produce telecommunications and computer equipment, software. Throughout its history, Alcatel announced a more than 130 countries on the planet. We draw attention to the fact that 20 percent of all subscribers are connected to a GSM network are handled using the apparatus of this company. However, it must be said that the production of mobile devices for Alcatel was not a priority. 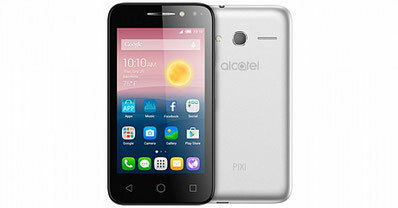 In 2004, one of the divisions of Alcatel, which specialized in the production of mobile phones and related subsidiary TCL Chinese companies merged. As a result, a new company TAMP (TCL & Alcatel Mobile Phone). Since Alcatel phones started to produce in China. In 2005, TCL Alcatel bought out all the shares of TAMP. As a result, the company was renamed TCT Mobile. 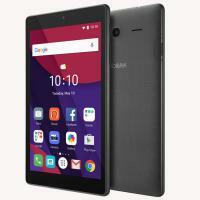 After the conclusion of the license agreement with the French is the Chinese began to produce phones under the Alcatel brand. So, every Alcatel phones manufactured after 2005 - it TCT Mobile product whose quality has improved.